Beach house in the peaceful valley of English Bay. This traditional kiwi bach offers a safe relaxing, home away from home atmosphere. Whether you're planning an action packed adventure or a chill out holiday, this property is ideally located to take advantage of all that the Bay of Islands has to offer. A fantastic base to enjoy your kind of holiday. English Bay beach is sheltered and safe for swimming, fishing off the rocks, and boating. Explore the coastal track to Opua and enjoy a coffee at the Mariner Cafe, or ice blocks from the Opua General Store. Take a stroll down the wharf, where you can watch the car ferry and boats coming and going. Or for something more adventurous you could walk or drive to Paihia, the tourism hub of the Bay of Islands, where you'll find plenty of activities for all the family. - Nightly rates are for up to 6 people (maximum occupancy). - Guests to leave as found. - 2 night minimum stay. - Please note, this house has an unusual feature which has great appeal to toddlers however must be managed accordingly. There is an internal ladder staircase with a hatch door between the lounge and the downstairs bedrooms. Lots of fun for older children (2 yrs up) but must be safely managed if you have toddlers. A safe harbour and beach for boating, swimming, and fishing off the rocks. Relaxing with everything you could need. Good value for money sleeps 6 comfortably and close to beach walks. Washing machine needed attention, owner alerted to this. Old style bach. Provided everything we needed. Highlight was the awesome coastal walks that begin at the end of English Bay Road - you can walk to either Opua township or Paihia. 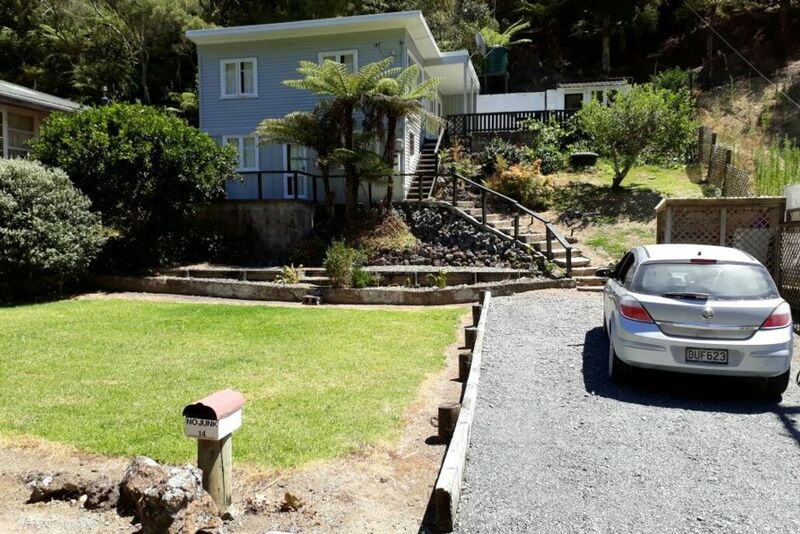 I think the house could be improved with better outdoor furniture for the deck - however overall we really enjoyed our stay and English Bay Beach House is definitely great value for money for a trip to the Bay of Islands. Location is awesome and the property is well maintained.